1. Turn off your Dell Inspiron 17R (N7010), unplug the powe adater, and remove the battery. 2. 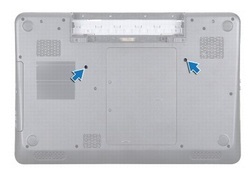 Remove the two screws that secure the keyboard to the computer base. 4. 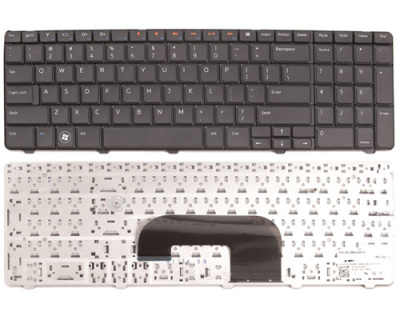 Slide a plastic scribe between the keyboard and palm rest, and pry and lift the keyboard to disengage it from the tabs on the palm rest. 5. Ease the keyboard up and slide the five tabs at the bottom of the keyboard out of the slots on the palm rest. 6. 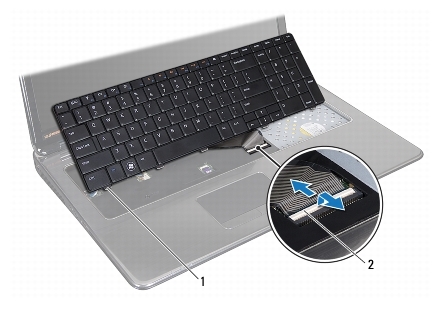 Without pulling hard on the keyboard, hold it towards the display. 7. Lift the connector latch and pull the pull-tab to disconnect the keyboard cable from the connector on the system board. 8. 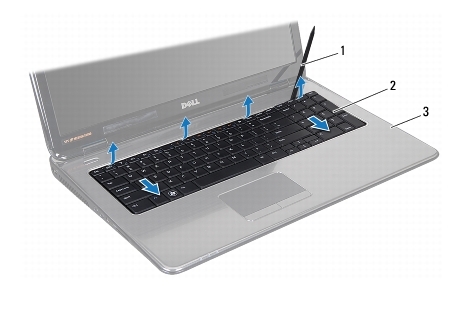 Lift the keyboard off the Dell Inspiron 17R (N7010) laptop. Reverse the procedure to install your new Dell Inspiron 17R (N7010) Keyboard.